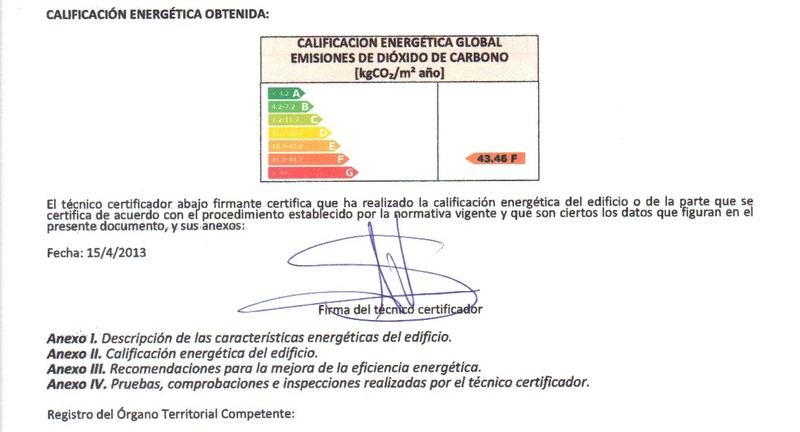 SAT 13th APRIL; the announcement in the Boletín Oficial del Estado, the official gazette of the Government of Spain, means we can now start arranging the new Certificado de Eficiencia Energética (aka EPC) for our customers. If you are selling a property, or renting a property for more than four months of the year, you need a Certificado de Eficiencia Energética by law after 1st June 2013. Sparks has employed the professional services of an architect to assist with helping our customers get the certificate. 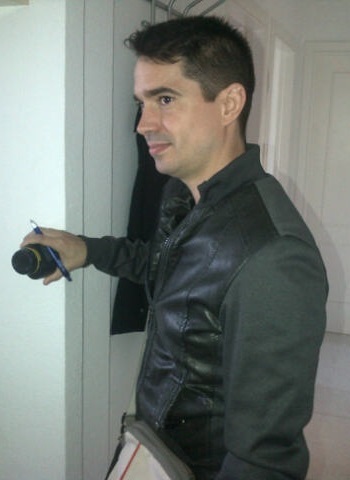 Our architect is registered at the Colegio de Arquitectos de Alicante having graduated with honours obtaining a Bachelor's Degree in Architecture, so you can rest assured our Energy Efficiency Certificate are authentic. Together we offer our clients a first class service at a competitive price, not only with the issuing of the certificate, but also with an added bonus of specialist advice on the best way to save money on your electricity bill. You can read more about energy saving here. Ted Allen (pictured above), an accountant from Southampton, was our first customer. 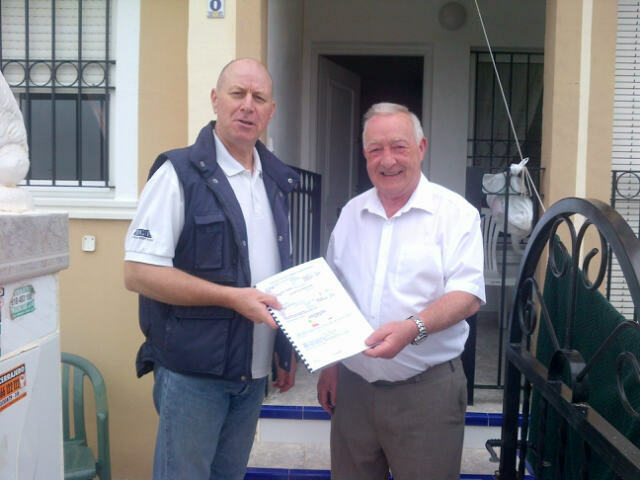 Whilst on a short golfing holiday with his pals we arranged the Energy Efficiency Certificate for his property in Torrevieja in just a few days. Commenting on our service Ted said "What an excellent trouble free service at a very competitive price. The whole procedure was completed in 4 days. Sparks is a pleasure to deal with"
The price for an Energy Efficiency Certificate is worked out on the total floor area of the property, calculated in square metres. Contact us for a price or more information. Labels: Testimonials, The Architect, What does an EEC cost?, Who can issue an EEC?